Photo and Video contest launched on FishTrack.com. 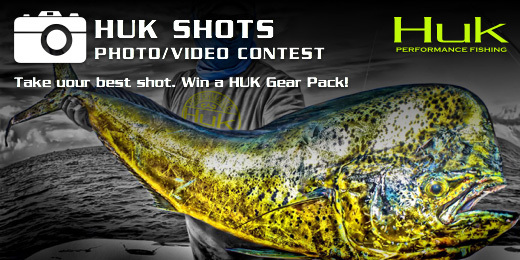 Take your best fishing shot and win a HUK Gear Pack!. Upload your best fishing photos and videos for a chance to win big! Enter contest here. Take your best shot. Win a HUK Gear Pack! Get out on the water, fire away and submit your best photos and/or video for a chance to win a complete Gear Pack from HUK Performance Fishing valued at more than $200. From April 1 through the end of June, anglers can submit their favorite photos and video for a chance to win a monthly prize. At the conclusion of the contest a Grand Prize winner will walk off with a complete set of high-performance fishing apparel. Submissions will be judged by HUK’s pro staff and entries featuring the latest HUK gear may just score a few bonus points. 1. Go to the official contest page on FishTrack and enter your information. Then click on over to our photo page and upload as many photos as you’d like. Make sure to select the HUK Shots category for your images. 2. To enter a video, simply send us the YouTube or Vimeo link via the contest registration page. 3. Enter via Instagram using the hashtag #HUKShots. Each month, FishTrack will publish some of the best entries we’ve seen and send them across the social coconut wire. If you want your photo or video to appear on the pages of FishTrack, make sure to enter now and may the best shot win! About HUK: Anglers are united by a single piece of equipment: the HUK. From freshwater to salt, offshore to inshore, bait to artificial, spinning to casting, to fly, our passion is all the same. 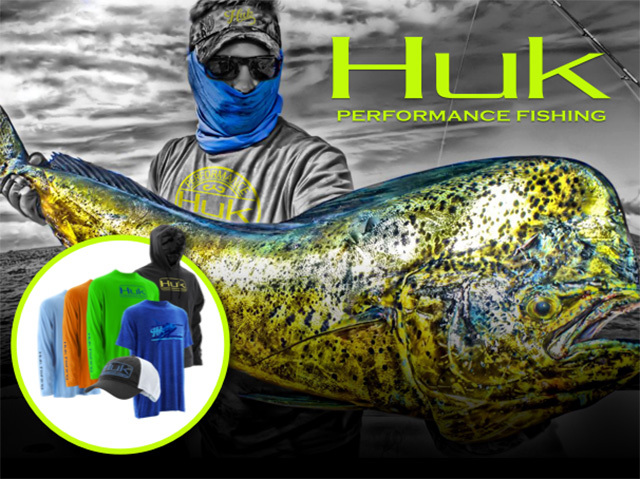 HUK performance apparel unites all anglers regardless of their pursuit.